Sun, rain, wind, debris, BBQ, fun! We had it all! 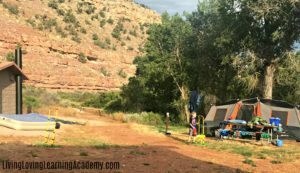 4th of July weekend, we had the opportunity to go camping at Bighorn Canyon National Recreation Area with some friends, as well as Corey’s brother and his new wife. 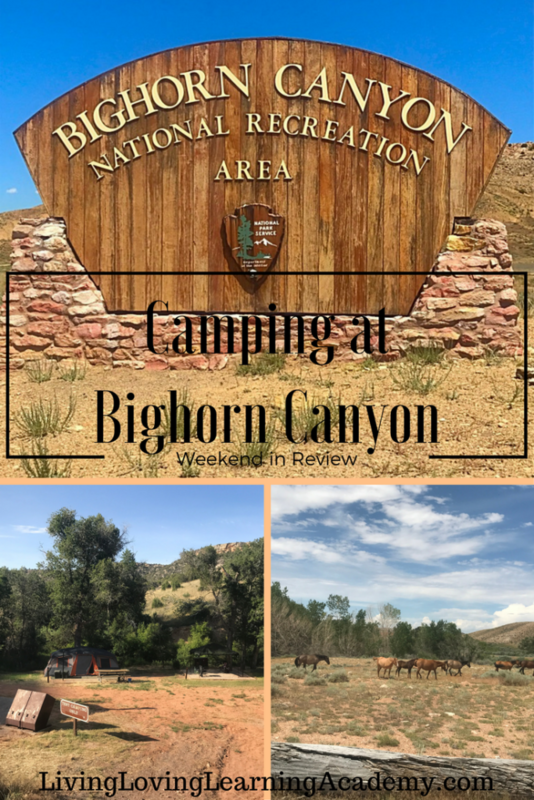 Camping at Bighorn Canyon has become a bit of a tradition for us for 4th of July weekend with this year being the 3rd in a row that we’ve went camping there. We tend to aim for Barry’s Landing for a campsite. We’ve had good luck in the past getting multiple tent sites together, along with a pavilion for shade. Usually it’s just our group taking up the spaces, which is nice because then we don’t have to worry about being quiet when it gets late. The friends we went with have a boat, which is why we go there. 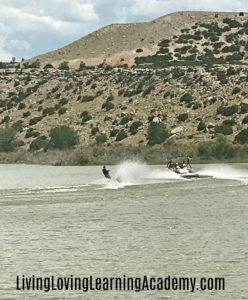 Usually the water is great for wake-boarding, skiing, and tubing. That’s the one the kids love- tubing- they can be pulled and tossed around for miles, loving every minute of it. 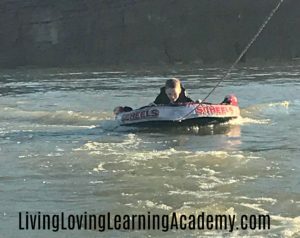 This time though, there was tons of debris in the water that took a lot of zigzagging to avoid, but we eventually found an area clear enough to let the kids do some tubing. Caleb was the first to volunteer. 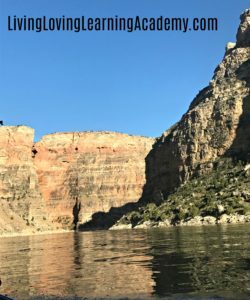 Even when not playing in the water, the views of the canyon are spectacular! The next morning, after everyone was up, we made breakfast and plans for the day. 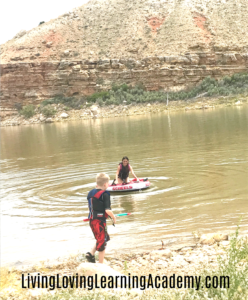 Since there was so much debris in the water where we were, we decided to spend the day at an inlet near Horseshoe Bend (another area within Bighorn Canyon) with a nice spot for the boat, set up chairs and an easy-up canopy, bring the coolers for food and drinks, and make a day of it there. 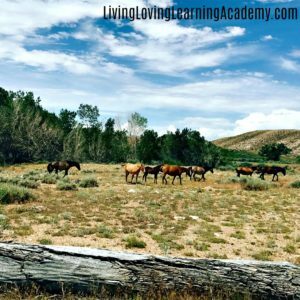 We were able to easily switch out people on the boat, the kids could play in the water, and behind us were wild mustangs roaming. Couldn’t find a better view if we tried! Unfortunately, the weather turned on us late in the afternoon. Thunder, lightning, and rain all rolled in pretty fast, came down heavy, then was gone almost as quick. By the time we got back to our campsite, the storm had passed through there as well. We found our tent collapsed from the rain, everything soaked- clothes, blankets, bags, everything. Thankfully, the sun was back out and we were able to get all the rain-soaked stuff laid out in the sun to dry. We were able to get most of the stuff dry enough to stay the another night. And thankfully Corey had an extra sleeping bag that hadn’t come out of the tote box and was completely dry, as well as his brother having brought an extra one as well. 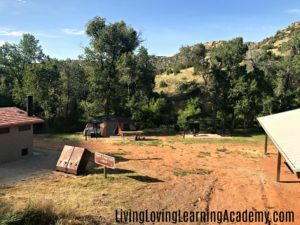 We were able to enjoy the rest of the night, have dinner, and even made some delicious fruit & s’more cones over the fire. 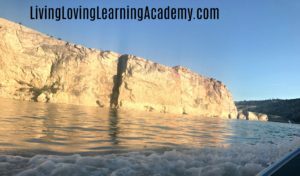 We did one more day out in the sun, letting the kids play in the water and enjoying themselves before heading home a day early. While we planned for 3 nights and 4 days, but everything getting soaked, kinda killed that plan. Clothes and blankets desperately needed to be washed, as did the rest of us (ha!). 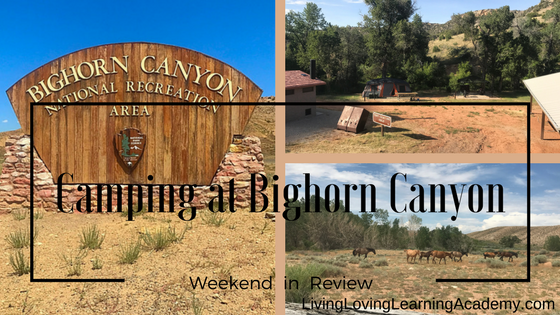 All in all, it was a good weekend and we always have a good experience camping at Bighorn Canyon National Recreation Area, specifically the Barry’s Landing area. 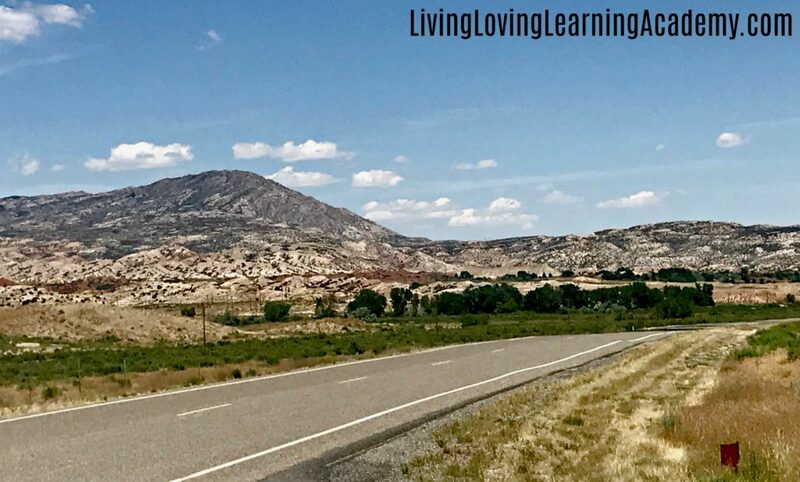 I’m making a list of places to go and see once we get the RV, so let me know, where’s your favorite place to camp-national park, local campground, state park? 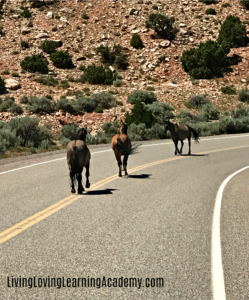 The wild mustangs are always one of our favorite parts of camping at Bighorn. And they don’t spook too easily so you can good pictures from only about 15-20 yards away.